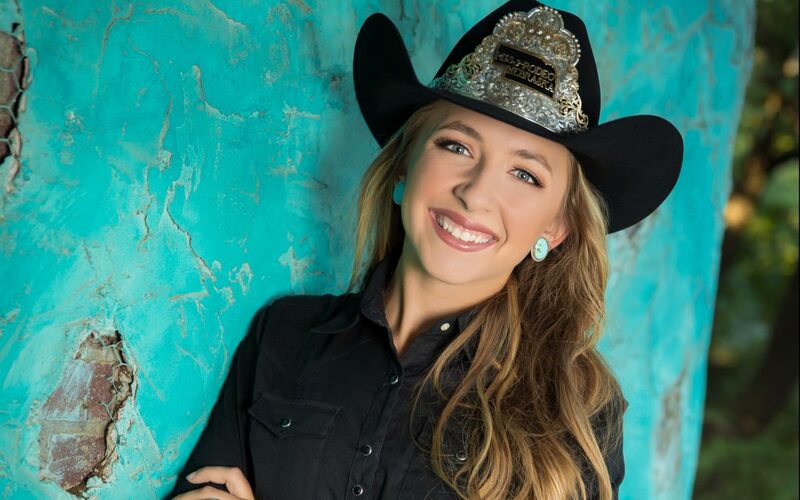 Tickets are now on sale for the coronation of Miss Rodeo Nebraska 2019 Eva Oliver. The event is scheduled for Jan. 5 at the Cherry County Fairgrounds in Valentine. Meal tickets, which are $25 for adults and $10 for children, can be paid for ahead of time and mailed or reserved and paid for at the door. Reservations are required by Dec. 15 by calling or texting (308) 458-8880. General admission tickets are also available at a cost of $10 for those who don’t want to eat, but do want to participate in other aspects of the coronation. Activities will begin at 5 p.m. (CT) with a social hour. The meal, catered by Niobrara Valley Vineyards, will be served at 6 p.m. It will be followed by the coronation and a dance to the Twin Rivers Band at 9 p.m. in addition to live and silent auctions. Oliver was awarded her title in June during the NEBRASKAland Days celebration in North Platte. The Merriman woman won the categories of horsemanship, personality and photogenic following four days of competition. She has served as a “Lady-In-Waiting” since that time and will officially take over full MRN responsibilities after her coronation.